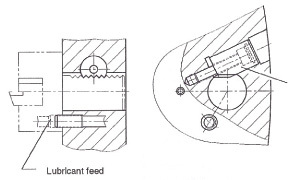 A few months ago I published a two-part series on the basics of mill-turn technology, where I covered topics such as: axis configurations, the orientation of live tooling holders, mill-turn terminology, instances when a Y-axis might be necessary, etc… In today’s article I want to discuss the differences between the driven tool mounting configurations, and offer my opinions on the benefits and challenges associated with each one. 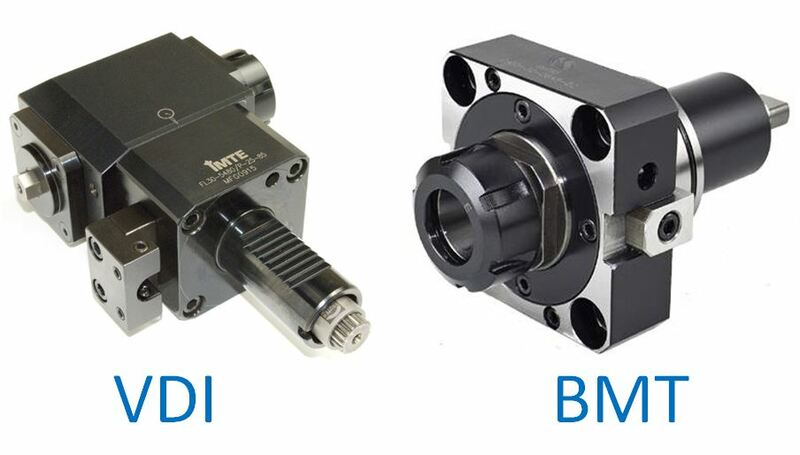 Regardless of the machine tool builder, there are basically two popular methods of mounting toolholders to your mill-turn machine…BMT or VDI. Some builders (like Hurco) even offer machines with both turret configurations as an option – however, they usually standardize on one or the other based on a particular market or sales region. The BMT, or “Base Mounted Turret”, is often thought to be a more rigid setup overall. The BMT holder will mount solidly to the face of the turret with 4 socket head cap screws, and is located and further secured with locating keys present on the turret face. These keys eliminate the need for indicating the toolholder to straighten it…which is most often necessary with VDI toolholders. Also, the simple design of the BMT holder’s mounting configuration makes it a good candidate for DIY (do it yourself) holders for special circumstances – something that would be very difficult with VDI. VDI holders (or “Verein Deutscher Ingenieure”, which roughly translates to Society of German Engineers) have a serrated shaft that is inserted into an opening on the face of the turret. The tool is held in place by a mating part with teeth that is housed inside the turret…when an Allen wrench is used to tighten the locking screw, located on the face of the turret, the mechanism applies clamping pressure that holds the tool securely in place. The holder is kept from twisting by a pin that is located on the mounting surface of the turret. Unlike BMT turrets, VDI tool holders can be mounted to either the outside circumference of the turret, or on the face of the turret, depending on the turret configuration of the machine in question. One characteristic of the VDI system is the need to indicate the toolholders for straightness when mounting them - a process that has spawned these popular acronyms for VDI…very difficult to indicate, or very dumb idea! 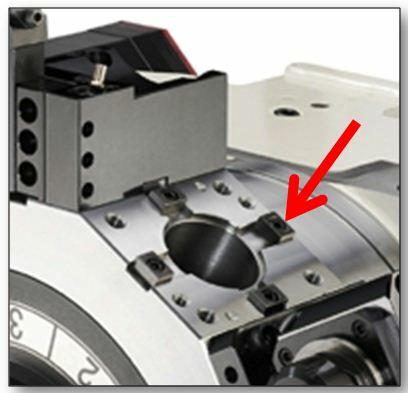 Because of its design, and due to the likelihood that the tool will rotate out of position (around the centerline of the mounting shaft) when being mounted, most VDI holders have been equipped with a dial mechanism to assist the operator when installing the toolholder on the machine. 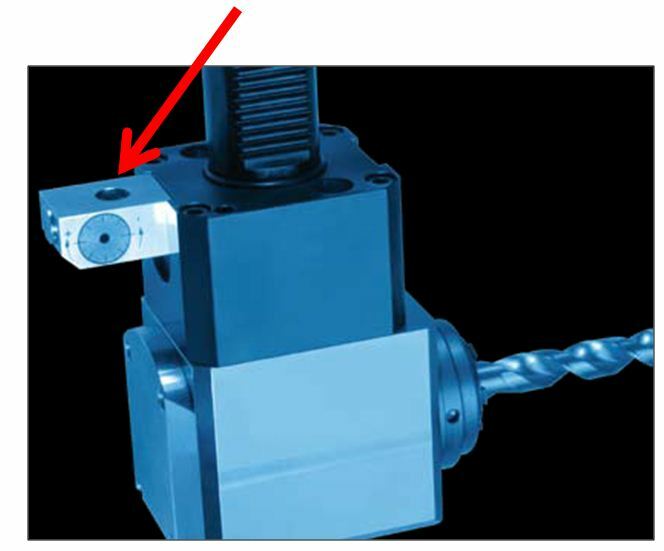 It is worth pointing out that, although this additional step of indicating the holder straight will not only insure that drills and taps are on the same plane when entering the workpiece, but it also provides an additional level of accuracy and peace of mind that is not capable with BMT holders. With the BMT system, once the toolholder has been installed, and located securely by the alignment keys, the tool cannot be “tweaked-in” for increased accuracy if necessary….what you have is what you get!